As the first step towards providing computer science opportunities for all K-12 students by 2022, the Hawaii Board of Education adopted the CSTA K-12 Computer Science Standards on May 3rd, 2018. Shortly after, Gov. David Ige signed the House Bill 2607 dedicating $500,000 to computer science teacher professional development and requiring all high schools to offer at least one computer science course by the 2021-2022 school year. 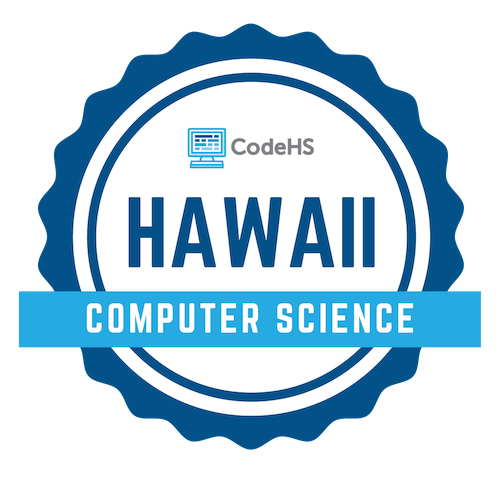 Bring a high-quality computer science pathway to your Hawaii school district. Contact the CodeHS team today to learn more at codehs.com/learnmore or hello@codehs.com.